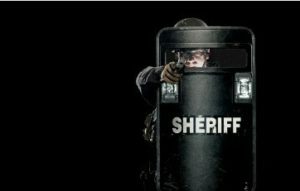 Deputies on this team are selected after exhibiting the ability to meet stringent standards and, once selected, they attend a comprehensive and grueling two-week basic training course hosted by the Onondaga County Sheriff’s Office. 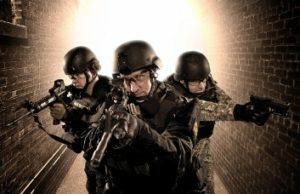 Their duties include handling barricaded gunmen, hostage situations and civil disturbances, assisting in negotiations with suicidal persons, apprehending highly dangerous suspects, and performing high-risk drug raids. Each assignment requires careful planning and coordination of the members, each assigned to a specific team: Entry, Reconnaissance, Marksmen, or Negotiation. A specific assignment may also require the use of the Mobile Command Center. Furthermore, members of this team receive monthly training to perfect the skills needed for these specialized tasks.